How Many Yogis... can you fit in a car? I wondered when 5 of my teachers drove off in this tiny vehicle after a brilliant few days learning about Anahata Yoga in Salzburg in 2015. I have never been able to shake that image. As I like the funny side of life, "How Many Yogis does it take to change a lightbulb" followed that thought soon after. When in 2016 my teacher, Peter Clifford asked us, his students, to help spread Anahata Yoga it became "How Many Yogis does it take to change the world?" Which ever question speaks most to you, I believe there is something great for everyone in practising yoga. Anahata Yoga is very accessible and should be available for everyone. How Many Yogis can we create, together? Learning to love yourself is not as scary and airy fairy as it may sound. Be compassionate about the things you want to change and improve the quality of your life. One step at the time. Sytske has been working for over 15 years as an Event Producer, Project Manager and Consultant in the international music & comedy industry. During her travels working on festivals and conferences worldwide she gained an interest in yoga, initially to relax and keep fit. Since discovering Anahata Yoga in Thailand in 2013 Sytske has completed several Anahata courses including a 200hr teacher training (certified by Yoga Alliance) and also gained a qualification to teach the 5-Element Form. 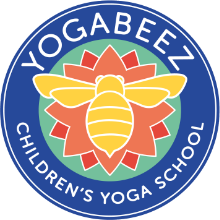 Most recent training includes the YogaBeez Childrens Yoga Teacher Foundation Course, expanding Sytske's teaching capacities into Yoga for Kids. Originally from the Netherlands Sytske is now living and working in North London with her partner, his daughter (on weekends) and their rescue cat Jack. Rachael is a live music promoter and marketer with a degree in Fine Art from Falmouth College of Arts. She has a toddler with a baby on the way and devotes the majority of her time to being a mum. On the look out for some form of exercise to do that fits into the life of a parent she came across Anahata Yoga and liked the way it incorporates meditation helping her managing her energy levels. Through training with Sytske they came up with the idea of running sessions for parents where they can also bring their babies along. Rachael's eldest is currently practising toddler yoga on a regular basis. Marie: "I had never been much into yoga before taking a class with Sytske. I was told to try it out to manage stress and learn breathing techniques during the early days of my pregnancy. It worked wonders! I felt more relaxed and slept much better. I would recommend it to anyone looking for a little more peace in the hustle and bustle of their daily lives." Matilda: "Sytske taught my girlfriend and I when we both had bad backs. She took the time to find out where we had issues and how our movement was affected. Her personalised and careful approach ensured everything was suitable. She explains and demonstrates movements and poses accurately and simply. Her light and friendly style is great. She has extensive knowledge but doesn't over-complicate or use too much jargon. I would recommend her to anyone." Carl: “Having done Pilates in the past I was intrigued by the thought of doing some Yoga with Sytske teaching. The session was short but positive, her instructions and explanations were precise, nothing other than what was required and the actual movements were helpful to me and achieved what she said they would.